The Prime Minister, Tony Abbott has officially opened James Cook University’s new Singapore campus. The Prime Minister was accompanied by the Trade Minister, Andrew Robb, and a delegation of senior executives from major Australian corporations. The Queensland Premier, Anna Palaszczuk also attended the event, along with Singapore’s Senior Minister of State, Ministry of Law and Ministry of Education, Ms Indranee Rajah. The new JCU Singapore campus is located close to Singapore’s Central Business District on 24,000 square metres of land. It has a gross floor area of 19,000 square metres, consists of over 40 modern classrooms and lecture halls, 10 computer and research laboratories, administration offices, a purpose-built electronic financial trading room, and a Psychology Clinic. 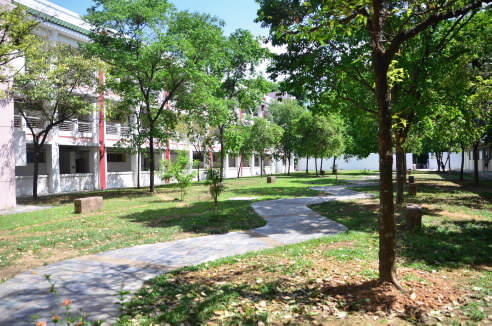 JCU is the only Australian university with a fully owned and operated campus in Singapore. JCU Singapore was established in 2003. JCU Vice Chancellor and President, Professor Sandra Harding said Singapore is a fantastic location for an Australian university that has been charged with pursuing education and research on issues of importance to the peoples of the Tropics. “Internationally recognised as a university that has focused on conducting teaching and research related to the Tropics, we believe that it is appropriate for us to build upon our presence in Singapore to give better effect to our ambition to be one university in two countries in three tropical locations,” Professor Harding said. Dr Dale Anderson, Deputy Vice-Chancellor and Head of Singapore Campus said that the new campus will allow JCU Singapore to innovate and provide the best facilities for its multi-national student body. “Having been part of the local education landscape since 2003, JCU Singapore is keen to provide a learning infrastructure that befits our status as the only EduTrust Star institution in Singapore,” Dr Anderson said. “Every attempt was made to create a cutting-edge learning environment at this new campus, which will allow us to advance James Cook University’s intent to create a brighter future for life in the tropics,” he added. The opening of the new campus follows the release of the Federal Government’s White Paper on Developing Northern Australia. It emphasises that northern Australia sits at the intersection of the two great regions of global economic and population growth – Asia and the Tropics. “The expansion of JCU’s presence in Singapore underscores the growing and strong bilateral relationship between the two countries, and the importance of the Tropics,” Professor Harding added. The opening of the new campus coincides with the first anniversary of the launch of the State of the Tropics report, which was led by James Cook University. The report revealed that the world’s future will be decided in the Tropics, with half of the global population and 67% of the world’s children under 15 years of age living in the Tropics by 2050. “We believe Australia and Singapore have an important role to play as key economies located in the Tropics,” Professor Harding said. JCU Singapore is the only education institution in Singapore to have attained the country’s highly acclaimed EduTrust Star quality mark from the Council for Private Education (CPE). The EduTrust Star is given to institutions that excel in all key areas of management and the provision of quality education services. This mark is also a symbol of recognition for sustained efforts in organisational improvement.